Shelley B. Fullwood, Esq. is a creative rights educator/advocate, multimedia specialist, and artist from Wilmington, NC, who now lives in Durham, NC. Ms. Fullwood’s passion for artistic expression drives her to inspire others to create and participate in the creative economy. Her mission is to empower artists, musicians, writers, and performers, by teaching them how intellectual property laws support their pursuits both creatively and financially. She has a boutique creative rights & pursuits consulting firm where she offers personalized information sessions and creative rights assessments to groups of local artists. But Ms. Fullwood does not just sit on the sidelines. She writes poetry, creates visual works of art, and is currently studying aerial performance arts. Ms. Fullwood is thrilled to bring her passion for expression and love of intellectual property law to NCCU School of Law to serve as the 2017-2019 Trademark & Copyright Law Fellow for the Intellectual Property Law Institute. 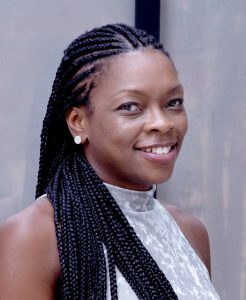 She aims to create and foster relationships between members of the Durham arts industry community and NCCU community in order to connect students with new opportunities and resources. Shelley B. Fullwood, Esq. earned her J.D. from North Carolina Central University School of Law in 2015. She graduated from the University of North Carolina at Chapel Hill in 2007 with a Bachelor of Arts in Journalism & Mass Communication, with a double concentration in news editing and visual communication. She also has the equivalency of a bachelor of arts in Women’s Studies.